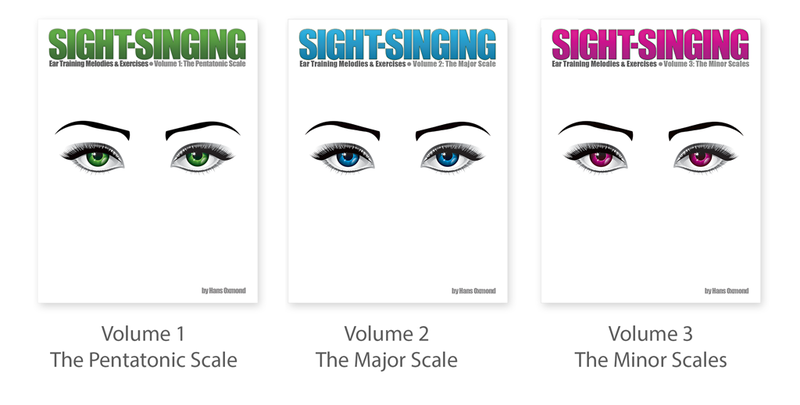 The SIGHT-SINGING books (vol. 1-3) consist of more than 700 ear training melodies and exercises. As you progress through the exercises, the difficulty will increase steadily. SIGHT-SINGING is a modern ear training system, which makes use of solfège – undeniably the most recognized sight-reading method. By using this system, the student can learn to hear and sing a melody line, simply by reading the notes. The heart of the solfège system is the major scale. In other words, if the note is sharpened we change the vowel to an “i”. If the note is flattened, the vowel becomes an “e”. The only exception is “re” that when flattened becomes “ra”.